Gunsmoke is an American western radio series, which was developed for radio by John Meston and Norman Macdonnell. The series ran for nine seasons and was broadcast by CBS. The first episode of the series originally aired in the United States on April 26, 1952, and the final first-run episode aired on June 11, 1961. Gunsmoke is set in and around Dodge City, Kansas, in the post-Civil War era and centers around United States Marshall Matt Dillon (William Conrad) as he enforces law and order in the city. 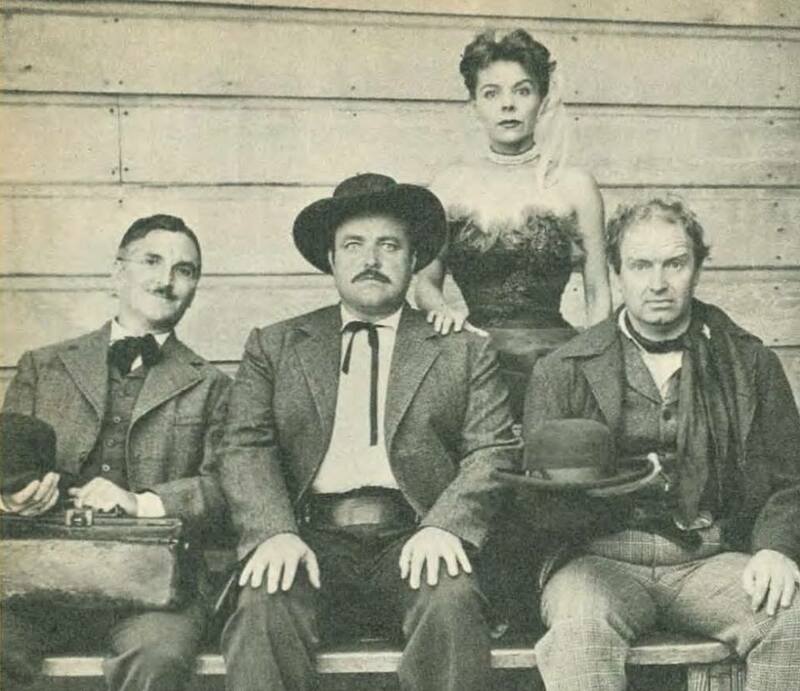 The series also focuses on Dillon's friendship with three other citizens of Dodge City: Doctor Charles "Doc" Adams (Howard McNear), the town's physician; Kitty Russell (Georgia Ellis), owner of the Long Branch Saloon; and Chester Wesley Proudfoot (Parley Baer), Dillon's deputy. Other roles were played by a group of supporting actors consisting of John Dehner, Sam Edwards, Harry Bartell, Vic Perrin, Lou Krugman, Lawrence Dobkin, Barney Phillips, Jack Kruschen, Ralph Moody, Ben Wright, James Nusser, Richard Crenna, Tom Tully, Joseph Kearns, Virginia Gregg, Jeanette Nolan, Virginia Christine, Helen Kleeb, Lillian Buyeff, Vivi Janiss, and Jeanne Bates. The entire nine-season run of Gunsmoke was produced by Norman Macdonnell. 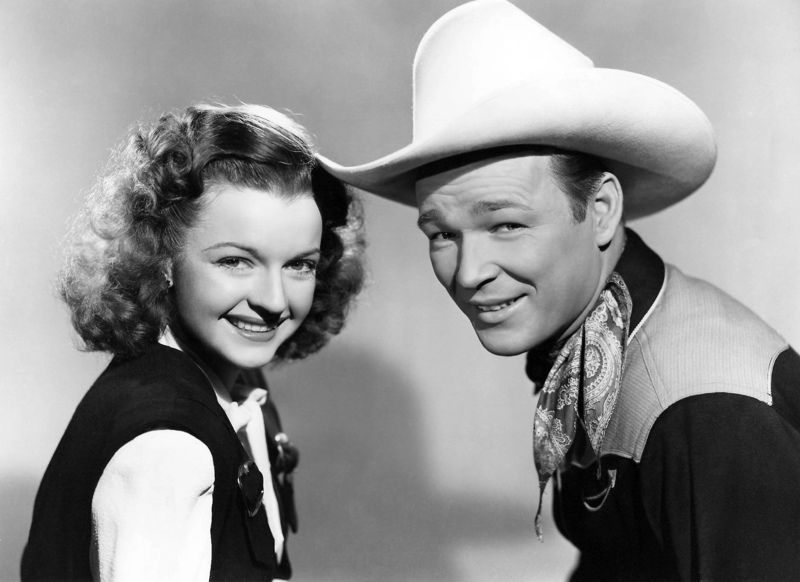 The Roy Rogers Show was a 30-minute Western radio program in the United States. It began in 1944, ended in 1955, and was carried on more than 500 stations. "The early shows followed the pattern set by [Gene] Autry's Melody Ranch ... Rogers' show featured Roy and the Sons of the Pioneers in such fine Western favorites as "Tumbling Tumbleweeds," "Cool Water," and "Don't Fence Me In." Much of the show was campfire banter and song, with Roy and songstress Pat Friday doing vocal solos, Perry Botkin leading the Goodyear orchestra and Verne Smith announcing. Dramatic skits were offered, but leaned to lighter material than what the show used in late years. Ultimately, it became primarily a Western thriller show. The show's music, like that featured in Rogers' movies, had a lasting effect on the music business. A 1986 article in Billboard magazine endorsed membership for Rogers in the Country Music Hall of Fame. It said, in part, "Two generations of Americans grew up with Rogers on the silver screen, TV, and radio -- and the impact he had on the present success of country music would be hard to estimate and easy to underestimate." Although Rogers was already in the Hall of Fame as a member of the Sons of the Pioneers when that article was written, he was inducted as an individual in 1988. The triumph of good over evil was a continuing thread throughout the program's existence. A 1954 newspaper article noted that Rogers' radio and TV shows featured "entertainment ... in which justice triumphs." It added: "A steady parade of badmen forever appear to plague the law-abiding, justice-loving Roy Rogers and to present to Roy and his friends a constant challenge. Embezzlers, swindlers, poachers, bank robbers, horse-thieves and diamond smugglers ... each to be vanquished in turn by the hard-riding cowboy."